Held on May 11, 2013, Pakistan’s general election signifies the first civilian transfer of power following the successful completion of a five year term by a democratically elected government. In addition to events held on the topic, Shuja Nawaz–regional expert and South Asia Center director–appeared on many news outlets before and after the country’s historic vote. The Center’s Emerging Leaders of Pakistan program shares photos and insights on the elections from a unique perspective. South Asia Center Director Shuja Nawaz joins a live Google Hangout organized by RFE/RL to discuss Pakistan’s historic elections. South Asia Center Director Shuja Nawaz joins CCTV America to discuss Pakistan’s historic elections. South Asia Center Director Shuja Nawaz joins Voice of America’s Access Point in the lead-up to the Pakistani elections to discuss the foreign policy challenges of the next Pakistani government and how different governing coalitions may get along with the United States. South Asia Center Director Shuja Nawaz speaks with NPR’s Steve Inskeep about Pakistan’s upcoming elections. Pakistan’s upcoming elections on May 11 provoke both fear and hope. The last time Pakistan held a reasonably free and fair election, in 1970, the country ended up splitting into two, as Bangladesh emerged out of the ruins of a horrible civil war that led to Indian military intervention. This time, the election has been marked by a violent campaign by the Tehreek-e-Taliban of Pakistan against selected political parties, even while a raging insurgency in the border region with Afghanistan is keeping some 140,000 troops of the Pakistan army fully occupied in a holding pattern. A nationalist insurgency and sectarian and ethnic battles in Baluchistan have raised fears of another “Bangladesh” in the making, though these may be exaggerated. Absent a robust civilian administration, the prospects of the military’s counter insurgency moving beyond the “hold” phase to “build and transfer” are dim. Meanwhile, the United States needs a stable Pakistan, among other things, to allow the Coalition to exit Afghanistan in an orderly manner and to prevent the economic and political implosion of nuclear-armed Pakistan: something that keeps leaders in the region and around the globe on edge. Behind these complex issues, there is much to discover: both positive and negative. The South Asia Center’s Emerging Leaders of Pakistan program shares photos and insights on the elections from a unique perspective. These elections in Pakistan represent the clash of expectations and realities. While many are calling this a watershed moment in the country’s benighted history, the elections are not likely to create any immediate seismic shifts in the political landscape. The powers of incumbency weigh heavily in favor of the mainstream parties at the constituency level, where tribal loyalties play a huge role in voting behavior. It is possible some major parties will team up to throw back the challenge of upstarts like the Pakistan Tehreek-e-Insaaf (PTI ) of Imran Khan. The injury that took him out of active campaigning in the final days of the campaign may garner him some sympathy surge of support, making his challenge to the status quo even more powerful. Overthrowing a well-entrenched system of political spoils that has created a rentier state in Pakistan may be impossible in short order. Politicians, civil administrators, and even the elements in the military have become used to a Culture of Entitlement that provides heavily subsidized state-owned land and other perquisites to the chosen few, creating palpable disaffection among the general public. Khan’s PTI may surprise the political system if enough youth and new voters actually come out to vote. So voter and youth turnout will be important. He has created a couple of changes that will have far-reaching effects on Pakistan’s politics. He has awakened the youth vote. Some 34 per cent of the registered voters today are below 30. He also held intra-party elections, a foreign concept for the autocratic “selection” system of appointing party officials among most of the dynastic main stream parties for whom politics is family business. 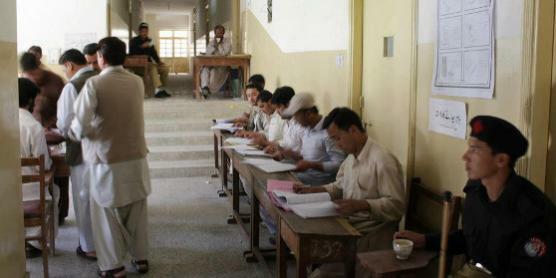 Only the Jamaat-i-Islami routinely holds internal elections. If these moves take root they could change the political landscape over time. The legacy of the civilian administration of the Pakistan People’s Party is a mixed one. By devolving political and economic power from the Center to the provinces, it did the right thing but implemented it in a hasty manner. As a result, confusion reigns on the economic and political front on the funding and implementation of projects in the provinces. But this shift of power to the provinces will give greater heft to the results of the provincial elections, because that is where future economic decisions will be made and development projects implemented. Also, the provincial legislators will be a key part of the Electoral College for the election of the next President of Pakistan later this year. Conventional wisdom borne out by numerous recent polls in Pakistan appears to favor a return to power of the former Prime Minister Mian Mohammed Nawaz Sharif though there are still many unknowns, among them the almost 40 million new voters on the rolls, most of whom are disaffected youth who, according to a new British Council poll, fear the worst for their country and have little confidence in their political leaders. Sharif’s base is the Punjab, an economic and political powerhouse. If he wins, this will be the first time in a long while when the Center and the Punjab are in the same hands, promising potential economic stability and growth that could lift the entire economy out of the hole that the PPP government dug. Sharif also promises to open the border with India to trade and traffic, allowing the deep-seated hostility between these old rivals to become muted and both to prosper economically. An India-Pakistan détente would augur well for Afghanistan too, supporting transit trade and links to Central Asia via Afghanistan. But that is a long-term prospect. For now, Pakistan would do well to survive the elections on May 11 without creating further fissures in its polity and without raising the specter of military intervention, something that appears remote at present but is seen as a default option by some Pakistanis. The best the military can do, as promised by army chief, General Ashfaq Parvez Kayani, is to provide a secure environment for the elections with 70,000 troops deployed on Election Day. Then back to the barracks, hopefully. They still have an internal war to fight, against their homegrown insurgents and terrorists. And the new government will have its hands full fixing a broken economy. 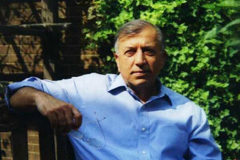 Shuja Nawaz is director of the South Asia Center. This piece first appeared on Foreign Policy’s AfPak Channel.